GSD Lovers - Check This Out - My Very Own German Shepherd Dogs Favorite New Obsession! If your GSD is a ball lover, you really need to get them one of these! My GSD, Rodie, loves his (and that's an understatement)! Click the link below to watch him playing with his varsity ball right now! As a dog owner, keeping your house looking and smelling great always proves to be a very daunting task. It requires consistent removal of pet hair, which in itself is quite annoying. 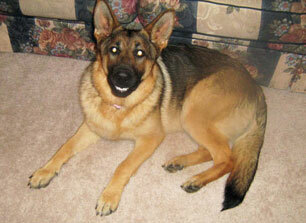 And if you own a German Shepherd, then you know that they don't have the nickname "The German Shedder" for nothing. • Just Released • Not available in stores Click below to get yours now!